Leeds United’s form that took the Whites to the top of the table may have faltered a little of late, their good play checked somewhat by a raft of almost simultaneous injuries. Two of those injury cases seem to be on their way back into contention, Kemar Roofe and Gaetano Berardi featuring in a recent U-23 game against Burnley at Elland Road. With those two seeming ready to step it up and get back into contention, that just leaves Patrick Bamford, Barry Douglas and Pablo Hernandez on the treatment bench. However, one of that trio could also be about to put themselves into contention – step forward Pablo Hernandez. Hernandez has been out from before the international breaks, an indeterminate ‘muscular injury’ counting the potent attacking midfielder out since the Middlesbrough game at Elland Road. 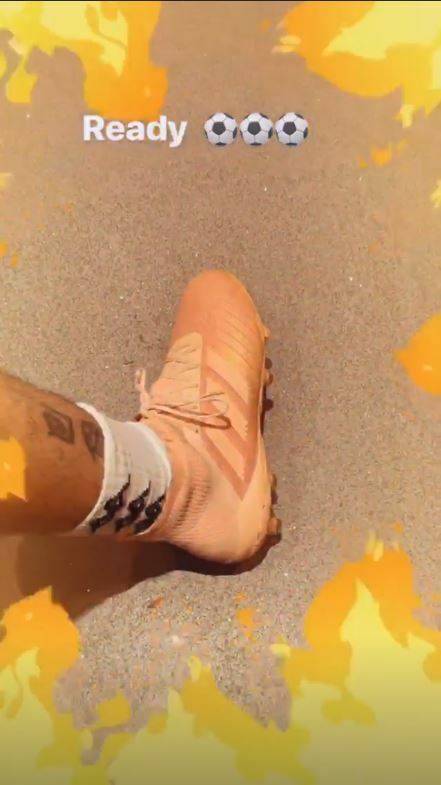 However, this still taken from his Instagram story shows that he just might be on the way back. In his five appearances thus far this season, the mercurial Spaniard has scored three goals and added a further two assists. During his time in the side, he formed a spearhead attacking force with fellow Spanish forward Samu Saiz. Whilst Saiz uses his low centre of gravity, and on-the-ball guile to ghost past opponents, Hernandez is a joy to watch as he dictates Leeds United’s play with his sublime range of passing and reading of the game. Having any player back is a bonus, but having Pablo Hernandez back will INSTANTLY lift Leeds United’s game, such is his influence. Despite only playing five games, Hernandez has 14 key passes to his name – passes that lead to chances for teammates. It is these passes that Leeds United have missed, passes that are distributed like the magic from a magician’s wand. Such is the skill of Pablo Hernandez – el mago español.